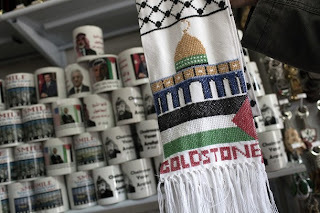 (AFP) JERUSALEM — South African Judge Richard Goldstone's name may be infamous in Israel, but in the Gaza Strip it is sewn onto souvenir Palestinian headscarves in honour of his controversial war inquiry. 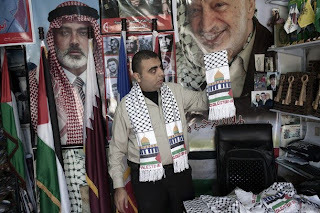 "Today we put out 50 keffiyehs made of white fabric with the Dome of the Rock in Jerusalem and the name 'Goldstone' embroidered on them, to honour his work," Abu Dia says, as he shows off one of the scarves. The shop, which mostly caters to foreign aid workers and activists working in the besieged and impoverished territory, will be selling the scarves, which Abu Dia insists are handmade, for around 20 dollars (15 euros). 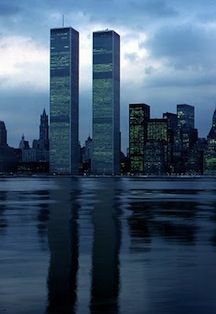 The report also accused Palestinian militants of war crimes for launching rockets on Israel before and during the three week conflict that erupted on December 27 and killed some 1,400 Palestinians and 13 Israelis. The UN General Assembly was expected on Wednesday to approve a non-binding resolution urging both sides to investigate Goldstone's findings despite Israel's fierce opposition to the report. Earlier this year Abu Dia's shop sold coffee mugs in honour of US President Barack Obama's election victory and last year another mug showed a picture of Obama meeting with Palestinian president Mahmud Abbas in 2008.